Bulk Barn Canada has a new coupon valid now, where you can save $3.00 off your total purchase of $10 or more before taxes. 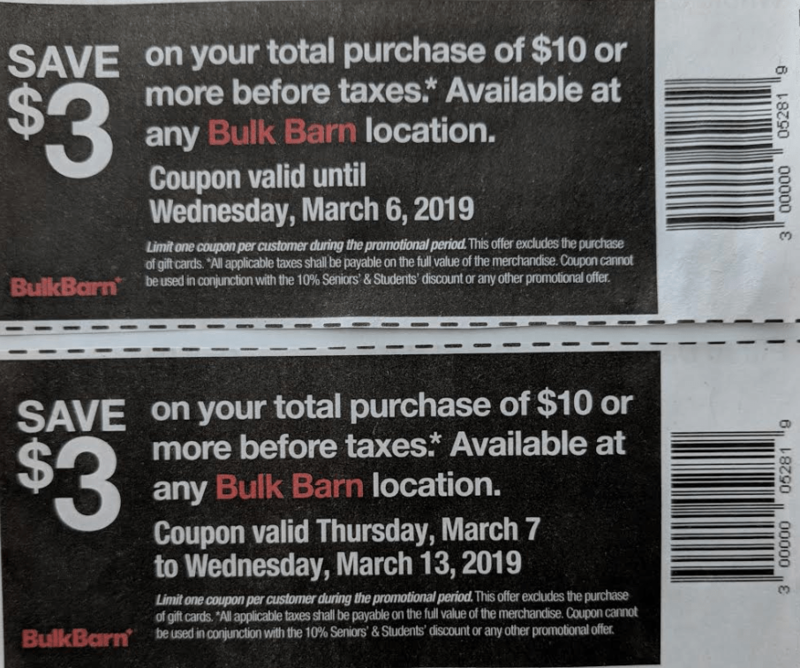 The Bulk Barn Canada coupon is valid in-store until Wednesday, March 13, 2019. The Bulk Barn savings coupon excludes the purchase of gift cards. To redeem the discount, print the coupon or simply show it on your mobile phone. Also, Bulk Barn has more offers where you can Save 25% – 30% off Select Item. 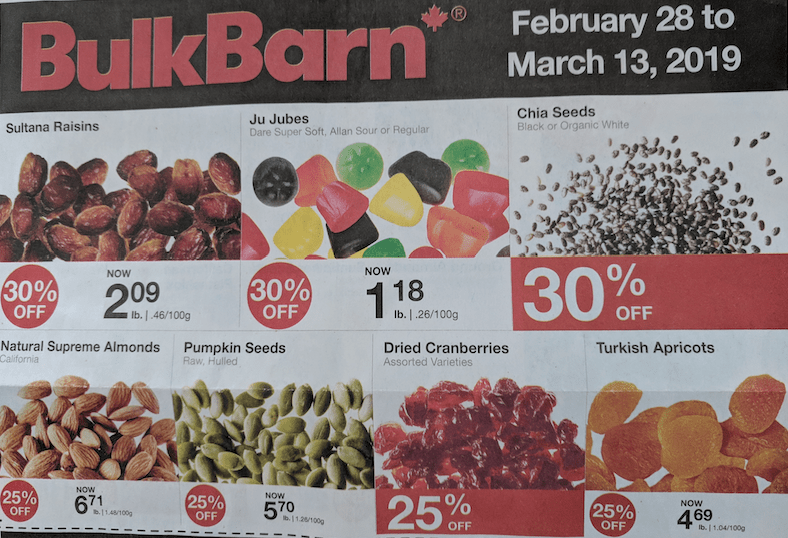 The Bulk Barn offers are valid until Wednesday, March 13, 2019.